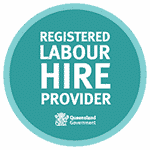 Submit your CV/Resume - Zelda Recruitment & Job Agency | Brisbane | The best jobs in Queensland. Thank you for considering Zelda as your preferred agency. We value you connecting with us and will communicate with you again shortly. If you have any questions as to the process from here, please see our Frequently Asked Questions. We look forward to assisting you with your career choices.